Multiracial couple playing the board game. 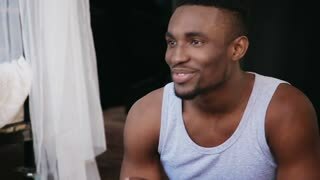 Man smiling and starts to laughing. Woman takes card, makes the task. Black man and caucasian lady laughing and smiling. Front view close up laughing couple.